Arum lilies are a firm favourite with many a person, they exude classic grace and elegance and have taken the lead as one the most popular bridal flowers around. These majestic flowers hold a lot of meaning and that’s why I’ve decided to do a special feature on these fabulous flowers! 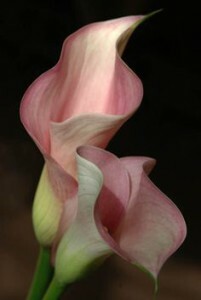 The correct name for Arum Lily is Zantedeschia aethiopica (L.) Spreng. 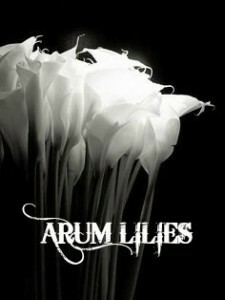 Arum Lilies are called Varkore in Afrikaans. Zantedeshcia is named after Professor Zantedeschi, in 1773 – 1846, who was an Italian botanist and physician. Arum lilies grace numerous bridal bouquets. They also go by the name the Calla Lily! Arum lilies are wonderful as cut flowers and remain fresh for a long time in vases. Did you know that there is a pink arum lily called the “Marshmallow”; this wonderful variation of the old-fashioned arum is pink on the outside and has a rose pink throat? The spathe or outer petal is actually a modified leaf. There is a record of the arum lily on display in the Royal Garden of Paris in 1664. 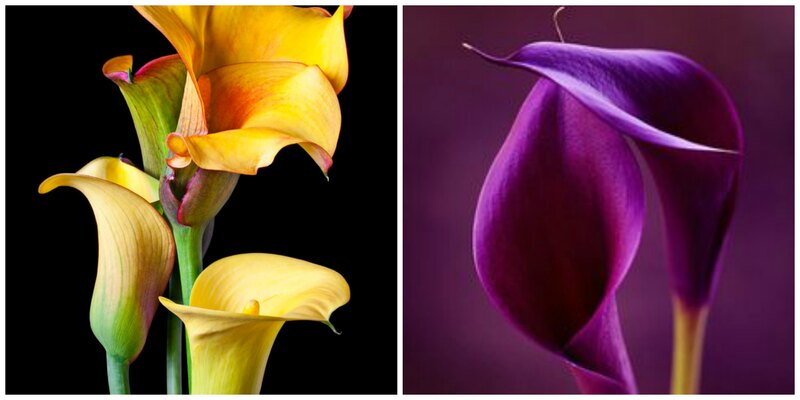 The arum lily is an interesting compilation of tiny flowers that are arranged in a complicated spiral pattern on a central column also known as the spadix. The spadex is surrounded by the spathe which is the modified leaf, and is either coloured or white. Many “flowers” that we are familiar with are actually modified leaves; the bougainvillea is an excellent example. Most interesting of all is that the “white”part of the flower is not what it seems – it is caused by an optical illusion caused by numerous airspaces beneath the epidermis, according to Marloth. Insects pollinate these lovely flowers and are attracted by the scent of these blooms; cross pollination also takes place as the anthers often ripen before the ovaries. Birds and frogs also assist with the pollination of the arum lily. The arum genus is specifically restricted to the continent of Africa. The arum lily is deciduous depending on the location. Arum lilies are pleasing plants, and make a wonderful display in any garden or home situation. The new yellow, deep purple and pink arums make a pleasing change from the original while varieties, although those are still firm favourites in many gardens. Arums are the grand old ladies of gardens will continue to and will continue to be for many more centuries. I live in Bloemfontein? 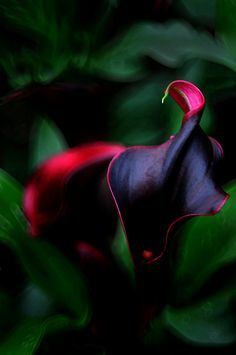 Any idea where I can buy pink arum llies. Either the plant of the bulbs. Can anyore courier to me? I just love them! Hey Doy, you can order online from http://www.netflorist.co.za/. We look forward to hearing from you!